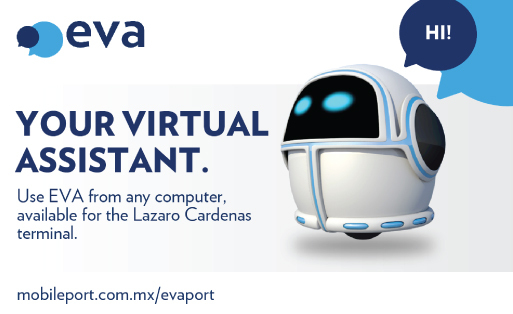 Within the framework of customer-focused culture, Hutchison Ports develops EVAPORT (Eva Virtual Assistant PORT) with the aim of finding new channels of permanent communication, being part of the commitment to generate state-of-the-art technological solutions that add value in operations through of valuable information for customers. The system, which will be available from November 5th, is an evolutionary project that in its first stage will attend the Terminal Hutchison Ports LCT, located in the port of Lázaro Cárdenas, Michoacán, and in the coming months will learn and integrate the rest of the terminals of Hutchison Ports Mexico. EVAPORT was designed for a period of 5 months jointly with the Senior Management of Information Technology, Commercial Management and Operational and Administrative Management of the Hutchison Ports Group. 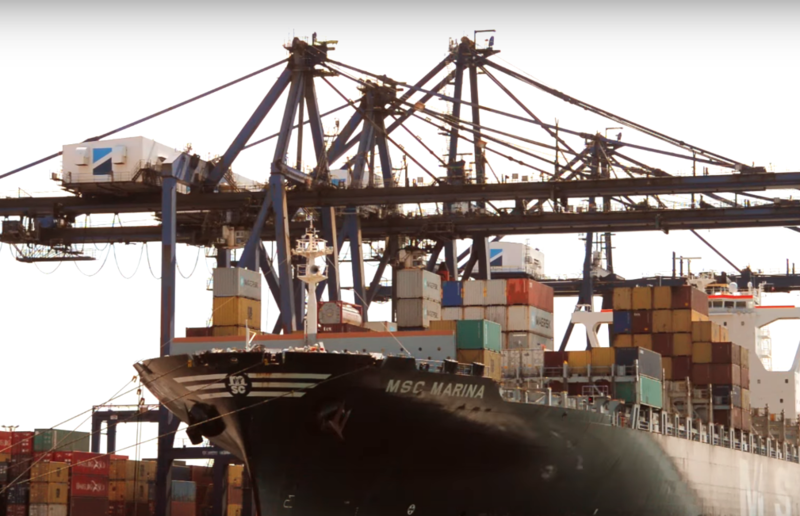 This technological solution has the mission of attend to a large part of the 5 thousand annual calls made to the customer service center of HUTCHISON PORTS LCT. For all customers in the area who request support to solve their queries, the chatbot will be available 365 days a year, 24 hours a day. In addition to answering the questions that are mostly asked by its clients, it also offers operational information about vessel arrivals and departures, container information and transport status. Hutchison Ports remains at the forefront when developing technological tools that allow providing a quality and innovative service for the benefit of its customers.